The good news is that the curd only takes about 20 minutes to make, but it does need to chill for at least an hour before you make the mousse. 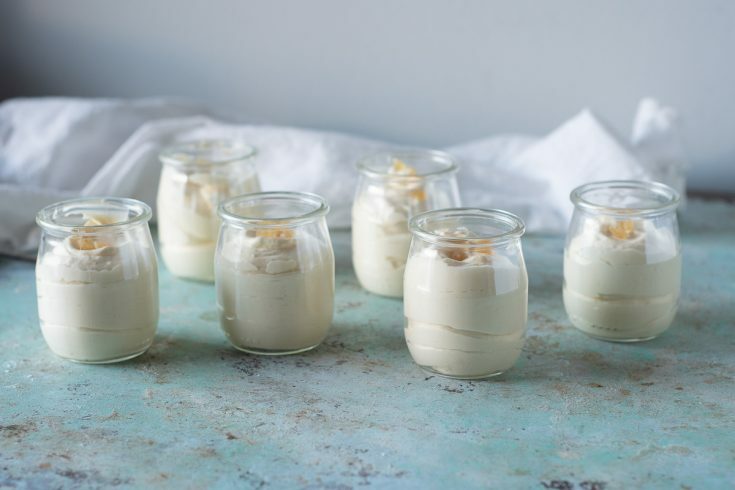 The other good news is that if you don’t feel like making your own curd, and you don’t feel the need to make this with meyer lemons and ginger, but are instead happy with a lovely lemon mousse, you can start with any prepared lemon curd. This technique is a brilliant one. 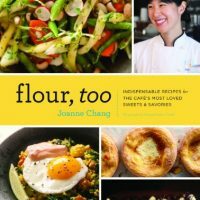 It’s one I learned from Joanne Chang’s excellent Flour, Too. 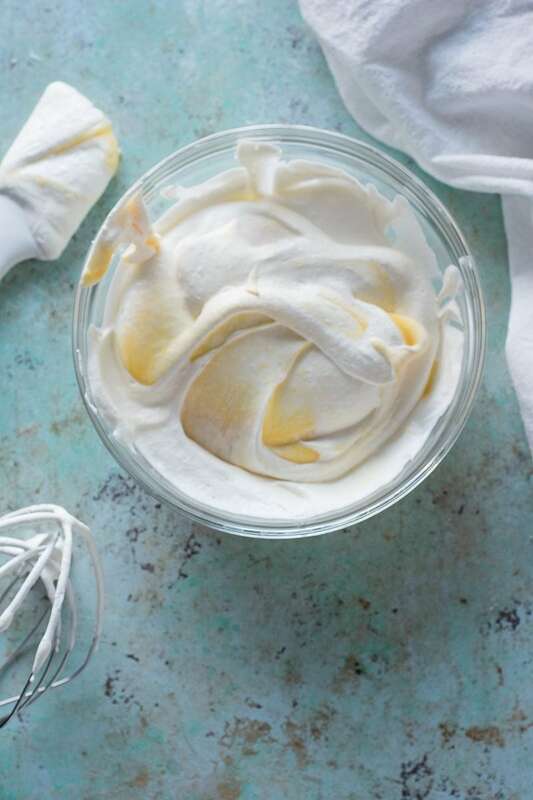 It’s a method for making mousse that doesn’t require gelatin or corn starch to stabilize it, but rather relies, very simply, on folding any fruit curd into whipped cream. Most mousses that don’t involve chocolate (which has stabilizing properties itself) use gelatin, which is fine but not exactly vegetarian friendly, and it doesn’t add anything in the flavor department. 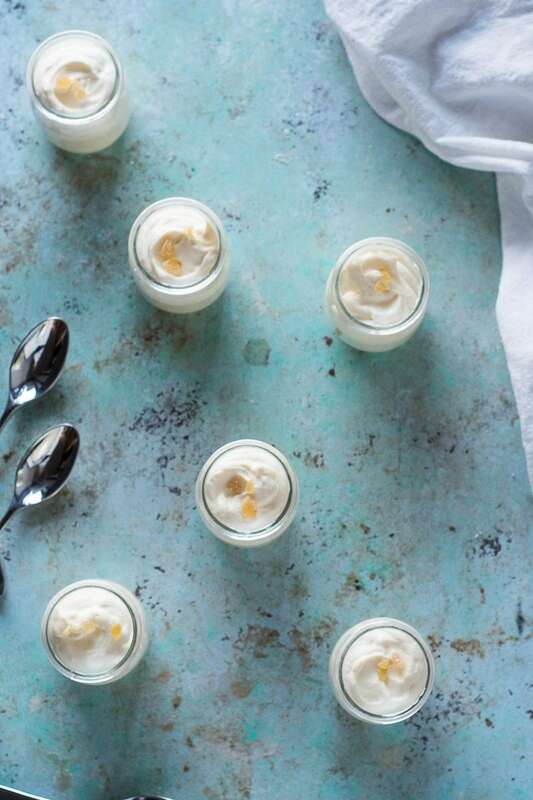 The resulting mousse is creamy and light with a pale yellow color and a bright, sharp meyer lemon flavor with an extra bit of spicy complexity from the ginger. And I love how adaptable this is. 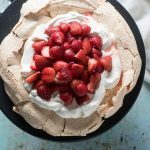 I could easily imagine making a delicate pink strawberry lemon mousse by starting with my strawberry lemon curd or using cranberry curd for a bright pink cranberry mousse in the fall. You could also infuse the heavy cream with a complementary flavor (like basil) as long as you make sure it’s well-chilled before you whip it. But really, before you play around with too many other variations, you should absolutely try this one. It’s like eating a meyer lemon ginger cloud. This method for making mousse is very simple. It just involves folding Meyer lemon ginger curd into freshly whipped cream. The curd takes about 20 minutes to make and needs to chill for at least an hour before you make the mousse (it can be made up to 2 weeks in advance). 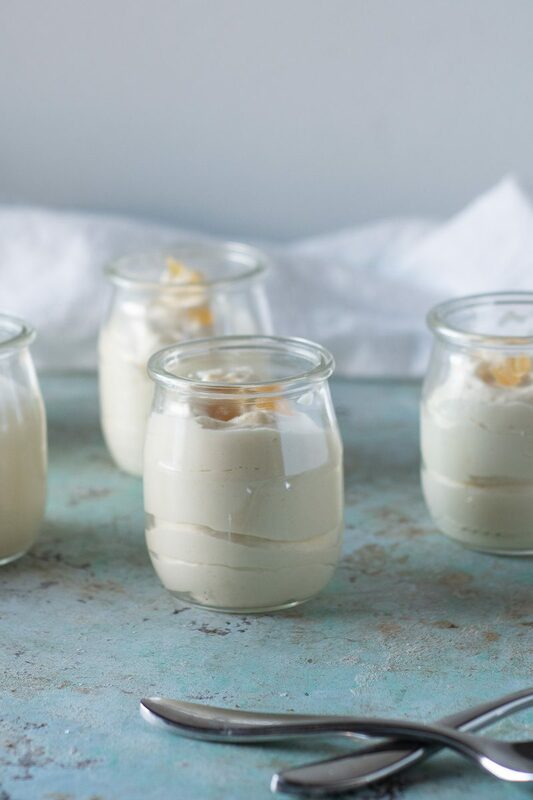 The resulting mousse is light with bright lemon and ginger flavor. 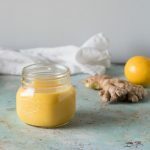 If you don't want to make your own Meyer lemon ginger curd you can start with any prepared lemon curd (you won't get the lovely subtlety from the Meyer lemons, which are sweeter and more fragrant than Eureka lemons and the extra kick from ginger, but you'll still have a lovely lemon mousse). Because this is so rich, I like to serve it in tiny cups. 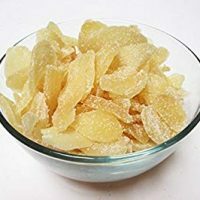 A bit of chopped candied ginger is a nice garnish, but it's optional. Have the Meyer lemon ginger curd chilled and ready. 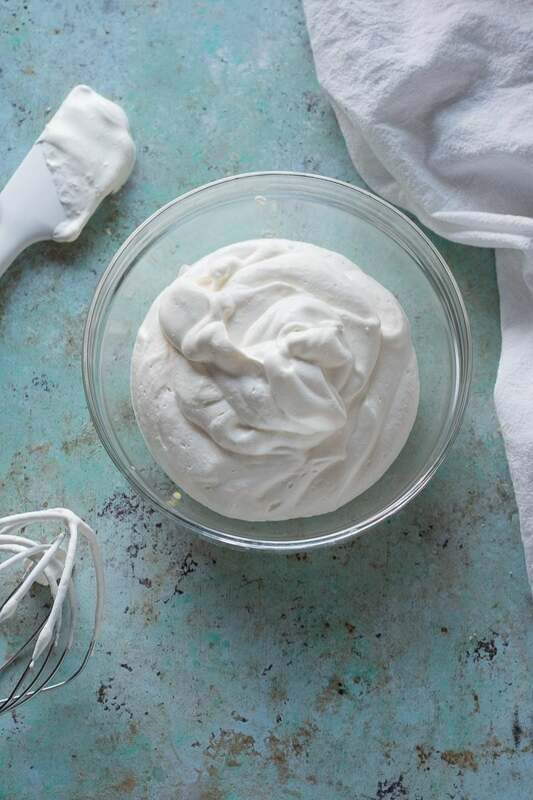 Add the heavy cream to the bowl of a stand mixer fitted with a whisk attachment (or to a large mixing bowl if using a hand mixer) and whip until the cream holds stiff peaks. 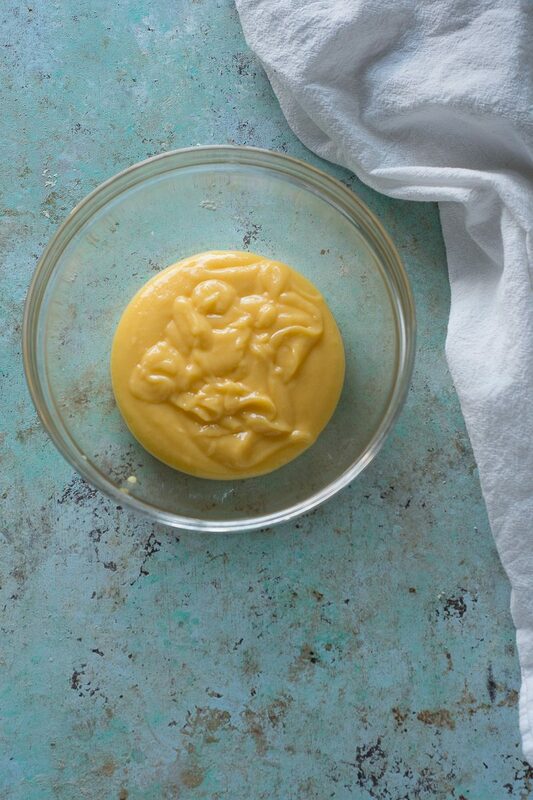 Fold in the Meyer lemon ginger curd with a rubber or silicone spatula just until combined. Divide into 4 to 6 individual bowls/cups. Sprinkle a few pieces of candied ginger on top. Serve immediately. This looks so light and refreshing! I love the combination of the lemon and ginger. Perfect summer dessert. 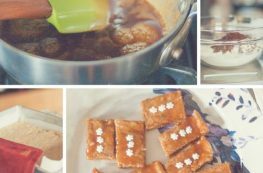 What a great recipe, can’t wait to try it again! 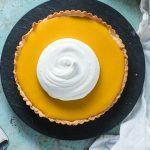 Wow I love meyer lemon it is so aromatic and tasty this mousse sounds amazing and looks pretty easy to make. I need to try it! Glad to have another Meyer lemon fan! 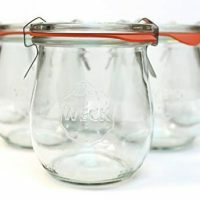 Would absolutely make a great syllabub! This mousse was so good that my family is already requesting it again!